I have baked the more humble cousin, the challah, on multitudes of occasions over the years, but never the more aristocratic Brioche. Although there are some idiosyncrasies to brioche making, I found the process much easier than I've imagined. I made a couple of batches but even within one batch I experimented with different shaping techniques my research came up with. I am really in awe at how different proportions of flour, water, eggs, yeast and butter will produce such a different depth of flavor and texture in bread. This post is a part of my collaboration with Red Star Yeast. I found RSY's original brioche recipe super authentic in rich buttery flavor and flaky crumb. 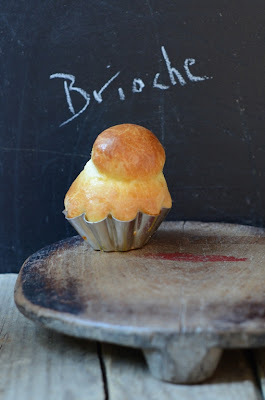 This mini brioche was perfect in the morning along with my cup of coffee. Michel Roux's brioche video which I found absolutely fascinating. Watch his technique, it's incredible. Bread in Five's video of mixing brioche dough in a stand mixer This technique does take the mystique out of brioche making and makes it accessible for the home baker. 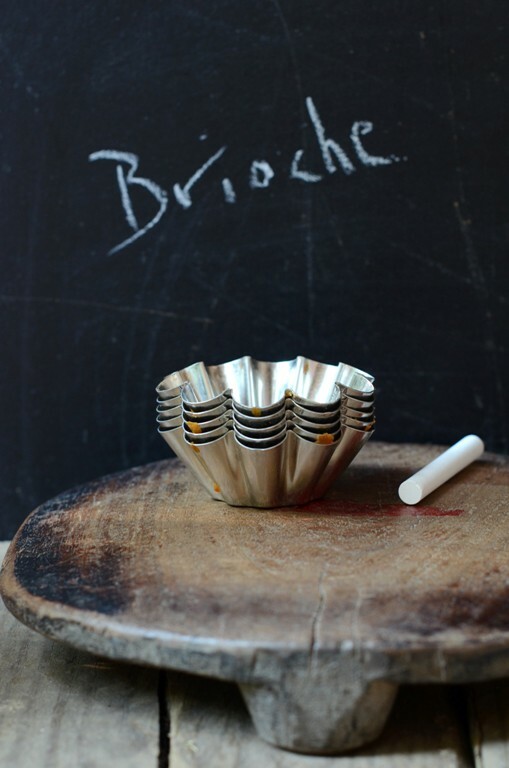 Nancy Silverton on Julia Child Creme Fraiche Custrad Brioche Tart video. Watch the tips Silverton shares as she makes the dough. 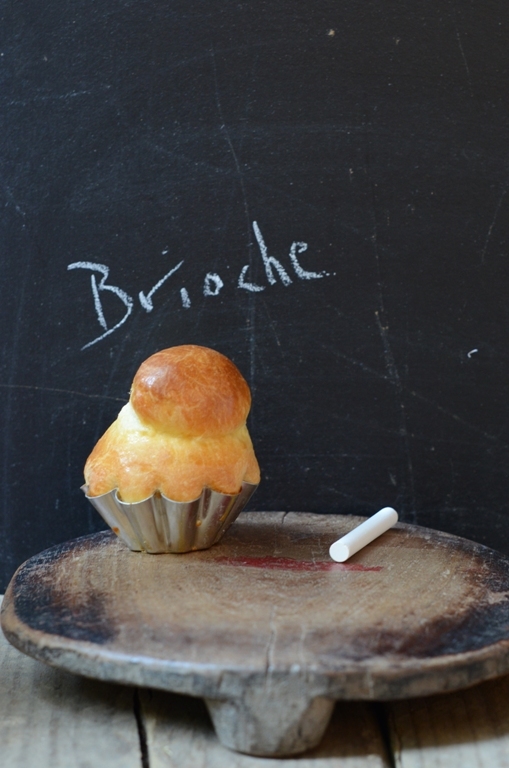 Leite's Culinaria's pictorial brioche guide by Sarabeth's Bakery. These links really give you a well rounded perspective on brioche making. 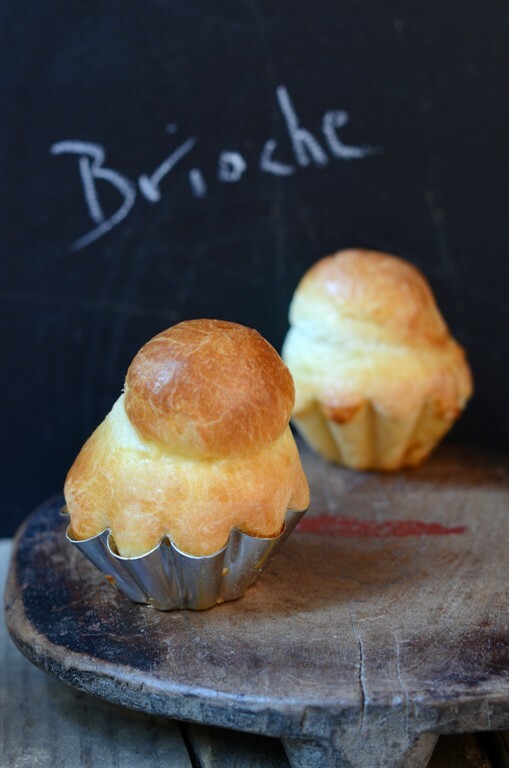 If you do not have brioche molds, you can bake the brioche in muffin tins. You can also bake as a loaf, but allow approximately 10 minutes extra in baking. Continue working with the next two batches as stated above. Love the chalkboard background :) thanks for all the links and videos, I got samples of red star yeast's platinum yeast and plan on baking bread next week. I might bake challah AND brioche :) thanks for the inspiration! TY Pandi so sweet. I can't wait to see your creations! Absolutely gorgeous brioche! I love your molds and the chalkboard background! Wow! It has risen to perfection Shulie! I love a buttery brioche with my coffee too. Heehee Baby girl I wish we could have coffee and brioche together! So pretty and tempting! I love the presentation. TY Rosa! Very kind as usual! Terrific post; beautiful shots and so informative! Todah Winnie & Hag Sameach! I am so glad to find a recipe with dry yeast! My friend from France gave me a recipe using a yeast "cake".. which I haven't been able to find in our local stores.. and I have just been too lazy to order it. And I can't wait to delve into the videos! Thanks for sharing! TY Laurie. I find that most people do not use fresh yeast here so when I find it I find it suspect. Maybe spoiled, expired. Happy you saw this recipe. Thats the first time I heard of challah. thanks for sharing all those useful links, its going to come handy. My mum makes brioche but i had never tried to bake them by myself. As you mentioned it looks more difficult then it is. Love your pictures by they way, gives it all great feeling, and I am thinking about going into the kitchen and trying out your recipe. Really?! :) It's Eastern European origin, Jewish bread. I should look up details for accuracy measures. It is much simpler than I thought! :) Let me know how yours turned out! Just beautiful...and the chalkboard is so much fun. There is nothing better, in my opinion, than brioche french toast. Thank you for sharing! Have never baled a challah nor a Brioche...but its high time I take inspiration from you. Lovely clicks, Sylvie. I'm very good at eating brioche, but haven't tried making them yet, so thanks for the guidance. 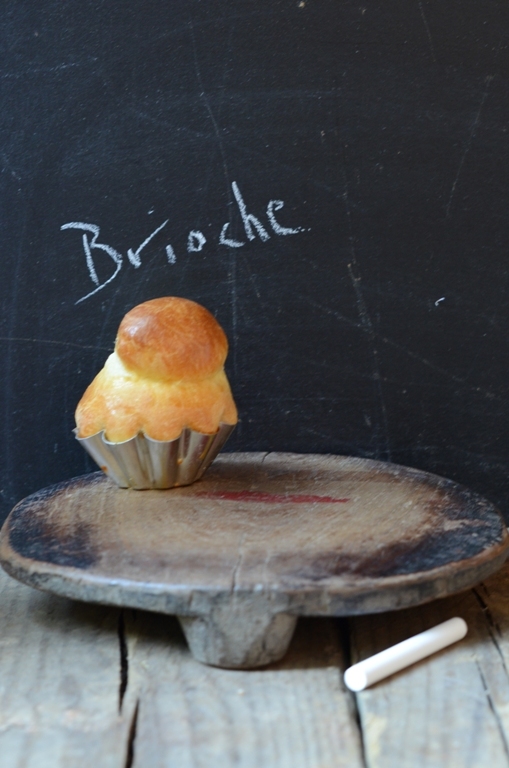 Brioche - the term is very new to me. I have tasted something similar to this but didn't know the name until now. I like the use of chalk board as a prop. It makes your dish look so good. Thanks for sharing the recipe Shulie. I was planning on making a brioche this weekend. Yours look so pretty. 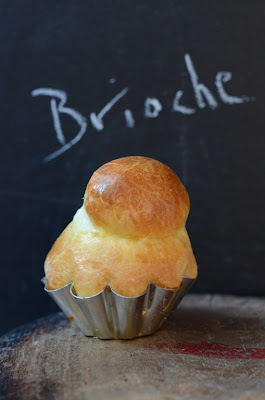 Your photos are making me want to get up and make brioche right now. Looks so good! I made some challah last week - half of it is in my belly, the other half is in the freezer...now I wish that it was brioche that was sitting in there, instead. Gorgeous photography, Shulie. The chalkboard and cute molds give the bread a classic bistro feel to it! I can't envision a more perfect brioche than yours here. Brava!